The sales of new U.S. single family homes fell only slightly in November in the wake of higher mortgage rates. Meanwhile, prices on new homes continued to rise, signaling to national housing market experts that the market truly is weathering higher mortgage rates, according to a recent news article. The Commerce Department recently reported that sales fell 2.1 percent to a seasonally adjusted annual rate of 464,000 units. November’s numbers marked a fall from October’s revised 474,000 pace, which was the highest level since July 2008. For November, economists had expected new home sales to be at a 445,000 unit pace in November. Compared with November 2012, sales were up 16.6 percent. Although higher mortgage rates have slowed the rate of home resales since August, activity is expected to accelerate next year. Experts credit this in part to employment gains. What’s more, experts say that a lean housing inventory is also expected to increase activity. For instance, in November, the supply of houses on the market decreased by 6.7 percent. The median price of a new home rose 10.6 percent from a year ago. If the housing market remained at November’s sales pace, it would take 4.3 months to clean the market of available homes, which is the smallest inventory there’s been since June. In October, the housing market inventory was at 4.5 months. For a reference point, a 6-month supply is normally considered as a healthy balance between supply and demand. Although home sales decreased in the Midwest and South, sales showed strong gains in the West and Northeast. The recent activity is actually encouraging, despite the fact that the sale of new single family homes actually dropped. That’s because the decrease was actually pretty slight, meaning that the national housing market is adapting to higher mortgage rates better than even some experts anticipated. 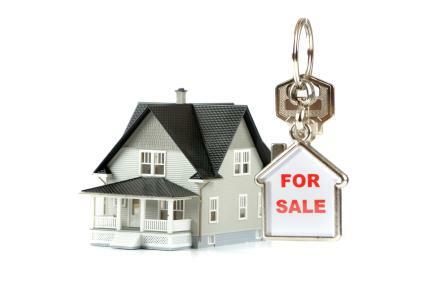 Check back here soon for more national real estate news that affects your efforts as home buyers and sellers!